Cycling Australia (CA) has confirmed the five riders who will ride as part of the Subaru High5 Women’s Development Team for 2015. 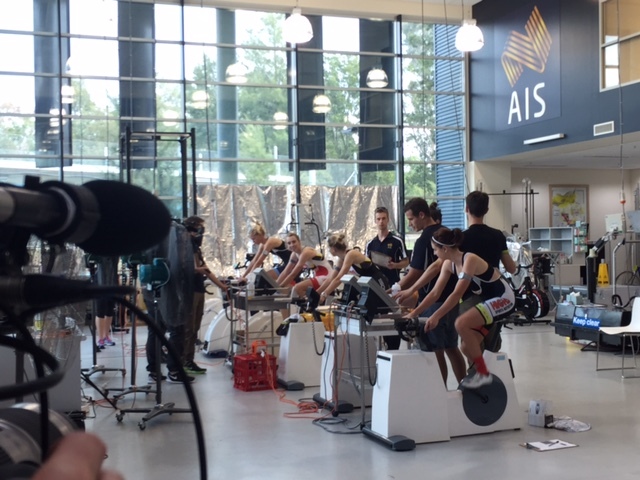 Shannon Malseed (VIC), Jenelle Crooks (QLD), Jessica Mundy (SA) and Ellen Skerrit (QLD) were identified by selectors from a group of eighteen athletes as having the physical capabilities and mental attributes required to succeed as a professional female cyclist following the infamous military-style selection camp held at the AIS in Canberra earlier this year. Mundy and Skerrit have participated in earlier editions of the grueling nine-day camp and as such, the CA High Performance selectors were already familiar with their qualities and values. The camp was an opportunity for them to confirm their abilities, which they did. For Skerrit, this will be her maiden trip racing overseas in the European peloton. “I am a little nervous about going to Europe as it is a totally different scene to the National Road Series although the level of racing and the quality of riders has definitely picked up. From the stories I’ve been told, it is going to be complete chaos. “I want to go over there and make an impression on the races and put it out there that we’re not only here to race, but to win,” says Skerrit. At only 20 years of age, Mundy is considered the ‘veteran’ of the team in terms of experience racing in Europe. 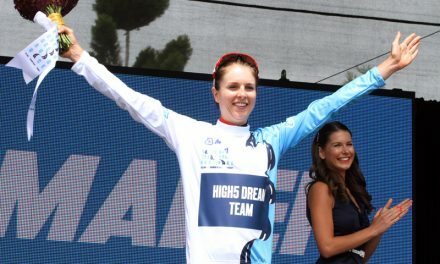 Having already spent two seasons racing overseas in Europe with the previous Australian development teams, a definite highlight for Mundy was her selection into the Australia National Team which participated in the first edition of La Course, the women’s one-day road race held on the Champs-Elysees prior to the final stage of the final stage of Le Tour de France. Mundy feels that even though the selection process for the team was tough, it is not unlike the conditions the team will face as they race and travel across Europe. “During the camp you get faced with a lot of tough challenges and you just have to try and complete them to the best of your ability everyday and push yourself,” commented Mundy. 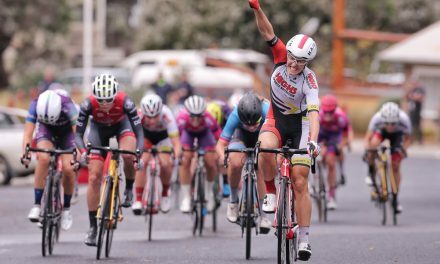 The National selection panel were also particularly impressed by emerging talents 20-year-old Victorian Shannon Malseed who earlier this year won the Australian Women’s National Road Race in the U23 category and the 2014 U23 Australian Time Trial Champion, Jenelle Crooks. 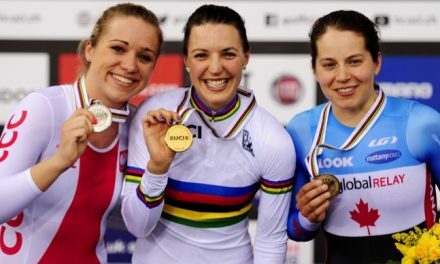 In continuing with historical partnerships, 2015 AGF Scholarship holder and 2015 Australian Criterium Champion Kimberly Wells will also play an integral role within the team, along with a number of Australian professional cyclist who will be brought in as guest riders and act as mentors for the team. The team’s coach Donna Rae Szalinski has expressed that the team is heading over to Europe with one clear goal in mind. “We’re taking a group of riders with the explicit goal of having an impact on racing. We’re not going over there to be a filler,” said Szalinski. “We want the riders to make a name for themselves, the team and our sponsors and, by the end of it all, we want teams talking about who these girls are and asking if they’re available to ride on their pro teams next year. “Everyone on the team has been chose specifically for the attributes they can bring to the team and racing at a European international level. Their selection in the team is a continuation of opportunities which they have created for themselves,” she added. The first 2015 European racing opportunity will come at the Thuringen Rundfahrt in Germany on the 17th of July. The team will then spend the next two months racing in a variety of tours and one-day races across Europe before returning back to Australia in September. The Subaru High5 National Team’s journey will be documented as they travel and race around Europe through a series of documentary style films produced by Rochelle Gilmore’s RMG Sport Production company. This ‘access all areas’ approach will be the first of it’s kind to be aired on television in Australia on the new grassroots dedicated Australian cycling review, the Full Cycle. A short trailer from the documentary released in May received an overwhelming response recording 1milion views nationwide when it was aired on the ABC’s 7:30PM report. The first documentary titled CAMP HEARTBREAK which was filmed at the famous selection camp was aired on Fox Sports.Watch it here! July 17 – 22: Race Thuringen Rundfarht, Germany. August 1, 3 & 4: Kermesse Races, Belgium. August 8 – 16: Race Route de France, France. August 22 – 26: Race Trophee dÓr, France. Sept 2 – 7: Race Tour de Árdeche, France.